If there are some useful information in a Webpage and you want to save the whole Webpage as your own document, do you know how to do? If you don’t have any application installed on your computer and you don’t want to purchase any program, do you know which kind of application you can use? 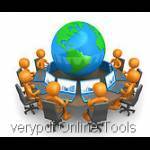 Please don’t worry, the free online tool VeryPDF Online Tools Free Web to PDF Online will do you a great favor. 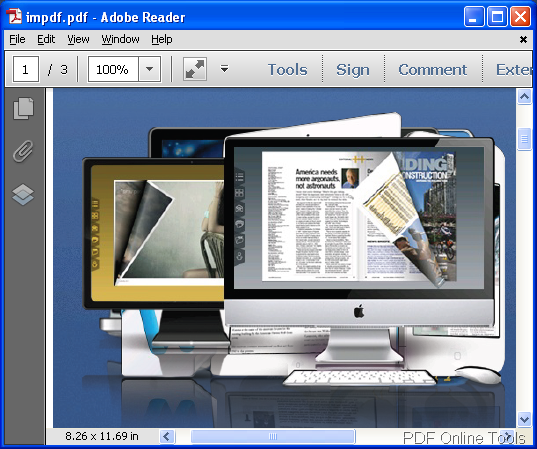 The PDF document shown in Figure 1 is created by this free online software. With the help of Free Web to PDF Online, you don’t need to install any applications on your computer as long as you can connect to Internet by your computer. By following the steps shown below, you can easily convert Webpage to PDF with this tool. 1. Please enter the homepage of Free Web to PDF Online via clicking here. 2. Input the URL of the Webpage that you want to convert in Enter a URL edit box. Please see it in Figure 2. 3. 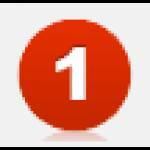 Click Create PDF File button to convert Webpage to PDF online. Please see it in Figure 3. 4. Save the created PDF document in some location of your computer. Free Web to PDF Online is convenient and quick enough because you can find this application online anytime. But it can only convert one Webpage to one PDF at one time. If you want to make batch conversion, you have to turn to the desktop application HTML Converter. If you have any questions about this free online tool or the desktop application HTML Converter, welcome contact our support team. When you need to convert URL to PNG format image urgently and you don’t want to install any program on your computer, you might as well try the free online software—VeryPDF Online Tools Free Web to Image Online which can be used to convert any webpage to image file, including BMP, JPG, PNG, PBM and TIF. This online program lets you convert any webpage to image online fast and easily any time and any place. Wherever you are and whenever you want to convert webpage to image, Free Web to Image Online can always help you produce image files from any types of webpage, based on process from URL to image. By reading the following contents, you will be able to easily master how to use Free Web to Image Online to convert URL to PNG image after entering the webpage of the application. In Enter a URL edit box, you need to input the URL of the webpage that you want to convert to PNG image such like http://online.verypdf.com/. You can directly type the URL manually or copy and paste it into the edit box. In Output Format dropdown list, you need to choose PNG: Portable Network Graphics from all supplied image formats. Please click Create Image File button to run the conversion from URL to PNG and what you need to do is to wait for several seconds until the popup window reminds you to save the target file on your computer. Then you can view the target file will different kinds of image viewer installed on your computer. To convert URL to PNG in batch, you cannot use this free online software because it can only convert one URL to one PNG file. So you need to use the desktop application HTML Converter or the command line application HTML Converter Command Line which can meet your more requirements. 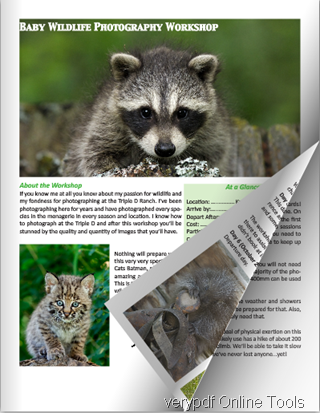 VeryPDF Online Flipbook is FREE software, which can help you convert PDF to flipbook easily. It is designed for Apple, Android portable devices, Sony eBook readers, Mac and Windows computers. With the help of this tool, you can make 3D effect eBook from PDF. 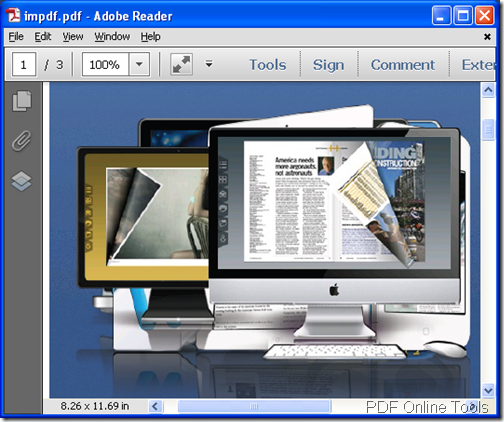 You can use VeryPDF Online Flipbook to read your local PDF or any PDF file you store in Cloud, or on servers. 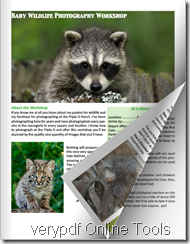 VeryPDF Online Flipbook supports master password protected PDF files. The following are some key features of VeryPDF Online Flipbook. You can create a flipbook with 3D effect from any PDF quickly and easily. The 3D effect makes you feel that you are really flipping a book when dragging on the screen. You can either drag mouse to slowly flip pages or double click on any page corner to quickly turn pages. The page your are dragging looks like a paper page, and can curve as a real one. To make the book fit reading, you may need to zoom in or zoom out the pages. There are three buttons for you to adjust the page size: zoom in, zoom out and switch to full screen. With the help of VeryPDF Online Flipbook, you can enjoy reading at any place. No need to bring your PDF with you. No need to store your PDF on your cell phone… Just store your PDF on a free server like Dropbox and then use VeryPDF Online Flipbook to open it anywhere. VeryPDF Online Flipbook supports social network. 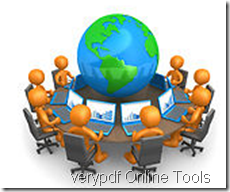 You can freely share your PDF with anyone online. Just send the link to your readers through email, twitter, facebook, blog, etc., and then they can read the flipbook without downloading anything like Acrobat or the PDF. 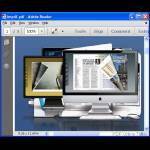 Want to convert PDF to flipbook free? 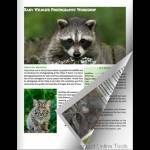 Please visit the homepage of VeryPDF Online Flipbook by clicking online.verypdf.com/flipbook. Start enjoying reading right away.